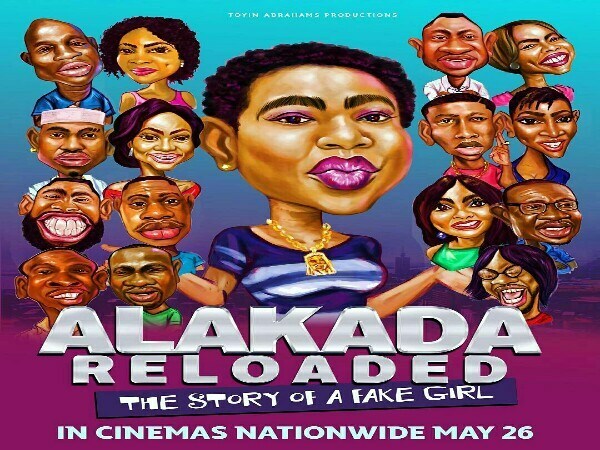 Toyin Abraham’s Alakada Reloaded movie had a ground-breaking cinema debut weekend as the hilarious comedy recorded sold out shows at a number of key cinema sites across the country. The film grossed an unprecedented N25million in its first 3 days at the cinema. Alakada Reloaded’s astonishing opening weekend, which began in cinemas nationwide last Friday, 26th May, has placed it firmly in the current top 5 releases of 2017. Other movies in this list include Okafor’s Law, which made N90million, Omugwo, with N48million, Hire a man with N45million and American Driver with N41million none of which beat Alakada’s opening weekend. weekend, and I was surprised at the reception from fans all over. People, in large numbers were trooping in to see Alakada Reloaded; it was honestly mind-blowing. We recorded sold out shows everywhere we went. I feel so loved and blessed. I am grateful to God for His blessings and my fans for their love and support. I have got the best fans. It’s so exciting and I want this to continue for as long as possible”. The movie is currently showing at cinemas in Lagos, Kano, Ilorin, Warri, Owerri, Port-Harcourt, Abuja, Asaba, Calabar, Ibadan, and Akure. “Film Distribution is no joke. Even with comedy. It takes passion, determination, a keen eye to spot potential, and a dedicated team to strategically maneuver that potential into box office success. From the moment Toyin walked into our office, we could sense her passion, and with the help of our amazing FilmOne team, we’ve been able to help her movie get where it needs to be - the top”. BBB Media Executive, Taiwo Ajuwon also spoke on why the movie is a huge success, "Nothing great comes on a platter. Our client made a great film and wanted cinema success and that became our mantra. The buzz for the movie had started long before now.What we are seeing now are just the results of the hardwork from everyone involved in the film and the marketing", she said. 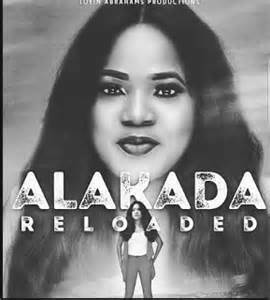 Alakada Reloaded, which is the third production in the popular Alakada series follows the story of Yetunde Animashaun, a young girl from a poor family background who as a result of her inferiority complex, engages in the act of making up stories and lying about her financial and social status in order to fit in with the crowd. The movie was co-produced by Filmservice media owned by Bolakale Oba Sa'ad. This comedy movie parades a star-studded cast both from the English and Yoruba film sector, was well as a host of Nigerian comedians and musical artistes. They include Ali Baba, Odunlade Adekola, Kehinde Bankole, Woli Arole, Nedu OAP, Helen Paul, Lilian Esoro, Annie Idibia, Bidemi Kosoko, Liz Da Silva, Lala Akindoju, Mr Latin, Iyabo Ojo, Gabriel Afolayan and Toyin Abraham herself. Alakada Reloaded is doing great and still showing at all cinemas across the country. The film is expected to be a hit and eventually break another box office record.